Cue the all-new Discovery – modern and unique in appearance yet captures the traditional expression of the original Land Rover. Elevating safety and adding to the vehicle’s contemporary look are wraparound headlights and tail lights. The lively shape combines aerodynamic proficiency with space; and all-terrain capability with lightweight, good quality materials. 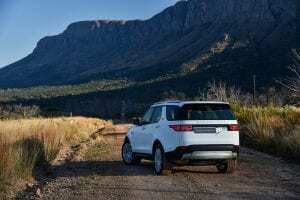 Its proficiency in harsh wind, climate and off-road conditions are proven by the rigorous testing Land Rover performed on the Discovery. For added strength, stringent testing was done on the suspension over a period of up to ten years. Its abilities are proven by its unparalleled towing capacity of up to 3500kg! Other on- and off-road capabilities include Terrain Response and Hill Descent Control, ensuring your safety no matter the road condition. The Land Rover Discovery also features an Activity Key wristband for when carrying a key is less than convenient. You can now leave your car key securely in the car and simple wear the robust and waterproof Activity Key wristband during your favourite outdoor activities or regular daily activities. This ensures you’re always able to enter and drive your Discovery without having to worry about misplacing or forgetting your key. As an added safety element, the Land Rover Command Driving Position enables a larger view of the road and puts you in control of your surroundings. The interior of the Discovery can be compared to that of a luxurious castle. The manufacturers used first-class leather, authentic wood and charming metal surfaces for a dramatic and sophisticated appearance that will suit any person with great taste and an eye for the refined. This is all complemented by the touchscreen Land Rover inControl infotainment system – available in 8 or 10-inches. Space is highlighted by the seven seats, ample legroom and the multiple stowage compartments. 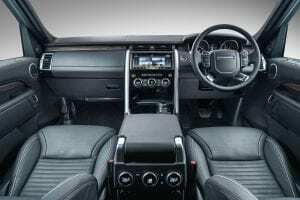 The third-row seats can easily fold flat into the boot through the touchscreen in the center console, the Land Rover smartphone application or with the touch of a button in the boot itself. The second row offers 954mm legroom while the third row allows 851mm legroom! With the third-row seats folded down, the boot space adds up to a whopping 2400-litres! Plus, a powered inner tailgate enables you to open the boot with a kicking gesture under the vehicle if your hands are occupied by shopping bags, school bags or any heavy luggage. This vehicle was designed to offer its drivers luxury, capability and urban sophistication. 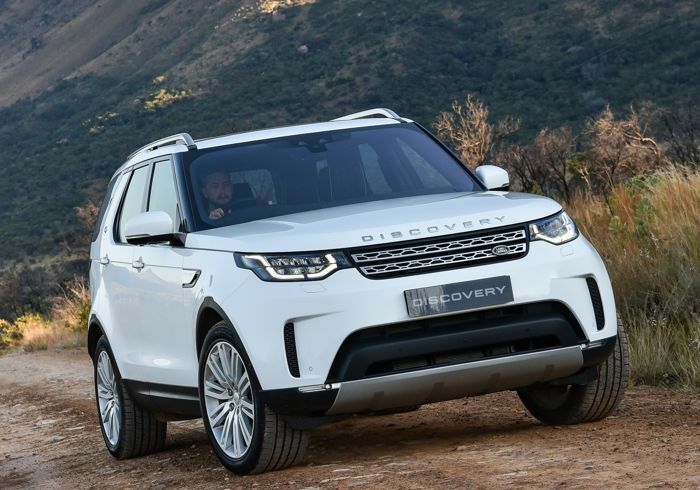 So, what are you waiting for, head over to Jaguar Land Rover Centurion today and check out the brand-new Land Rover Discovery!